Join TYB as we head down to Augusta on August 25th - 26th for the 5th Annual Augusta 70.3 Course Preview Weekend. WHERE: Taking place in Augusta, GA and led by TYB Coaches Jamie Church, David Lee and Joe Roof, we will get a chance to preview the entire race course over a period of Saturday and Sunday, talk training and tapering for a Half Ironman, and talk specifically how to race and plan for Augusta 70.3. Starting on early Saturday morning, we will preview the exact swim course and conduct a supported swim of the 1.2 Miles in the Savannah River. After the swim, we will hop on our bikes and ride the bike course. The bike course will be - and should be - well marked. TYB Coaching will provide SAG support with plenty of fluids and fuel throughout the entire ride. After the ride, the afternoon is yours. We have blocked out a number of rooms at a special rate at the Holiday Inn Express in Downtown Augusta (directly on the run course) - and will utilize this hotel as our base hotel. To take advantage of the special offer, call the Holiday Inn at 706.922.1414 and tell them you are with the group TYB Coaching for the weekend. We have blocked out rooms for both Friday evening and Saturday evening. Over the course of the afternoon, get some rest, enjoy some naps and we will individually meet with each athlete per request and as a group to discuss race plans, taper plans, and even some technique and form analysis of the three disciplines. 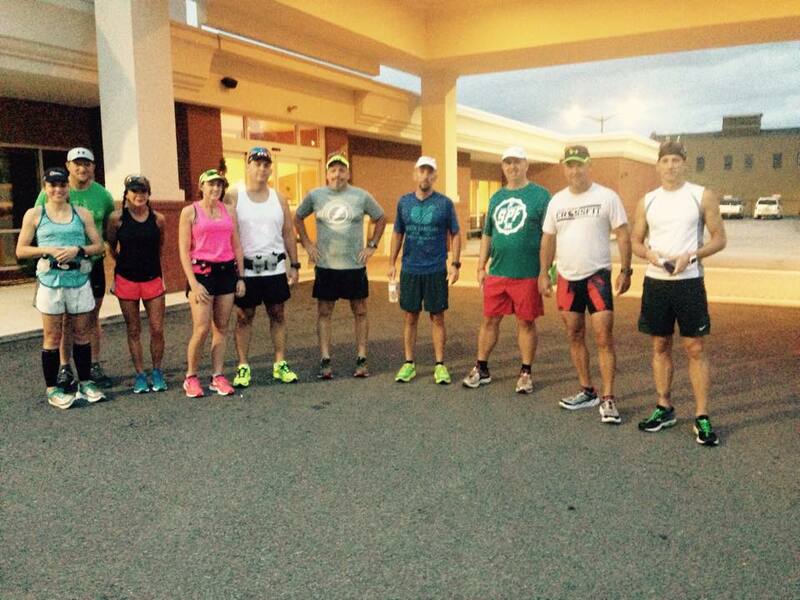 After a solid night's sleep, we will wake up early Sunday morning and run the Augusta 70.3 Run Course. Because of the two lap nature of the course, depending on your training schedule and plan - athletes will be able to complete 6.5 miles and see the entire run course. Space will be limited in order to provide a solid and hand's on experience for ALL athletes. Email TYB with any questions/comments. Refunds are not available for this event after August 6th. Any cancellations after August 6th can be applied to future TYB Events. 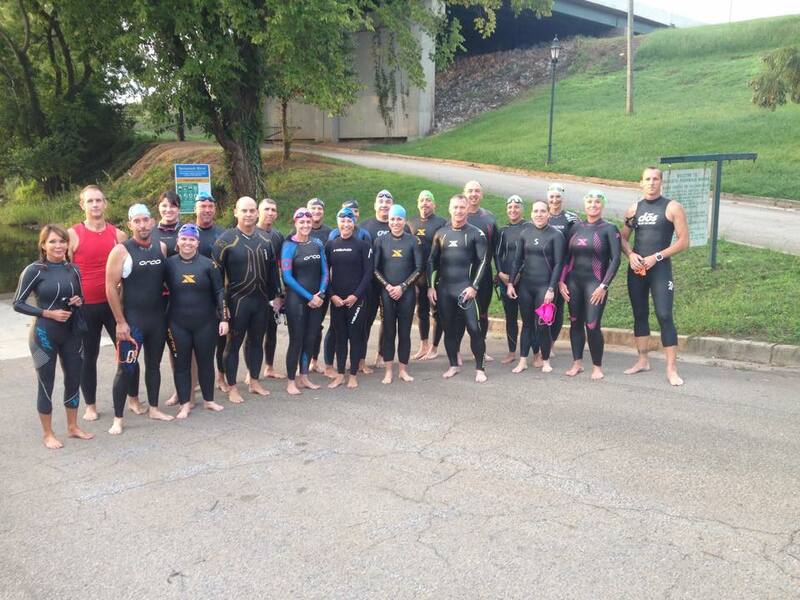 7:30a - In the water at 8:30 - or before - Swim the Swim! 8:30a - By 8:30 or before - ON THE BIKE! Once on the bike, more than likely the group will split to 2 - 3 groups on the road. Meaning we will be finishing back at the Transition Area at different times. TYB will be in various cars providing SAG support and bouncing around between the various groups and making sure everyone is good to go and on course. As of right now, the bike course is marked in Bright Green Arrows from a ride a few weeks ago. It should still be on the road this weekend. Also, we will provide cue sheets as well for you take on the ride. A little fun and chill time on Saturday afternoon and evening, then onto Sunday morning run time! Lunch and Dinner will be YOYO (You On Your Own). However, our group usually hits the Farmhaus (best burgers in Georgia) after the ride and Nacho Mama's for Dinner Fun and Fellowship.